Navigating the health care system in the United States can be daunting for most individuals. For those new to the country, having a support system can make all the difference. That’s where the CMN Ambassador program, Dance Marathon and other groups have stepped in for the Ramos family. 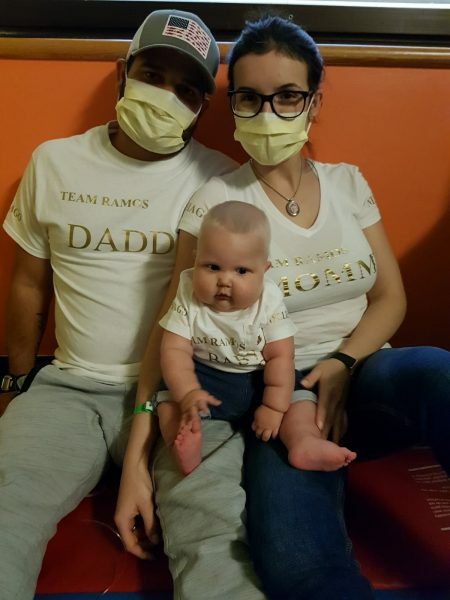 The Ramoses recently moved to the United States from Venezuela seeking treatment for their 10-month-old son, Thiago. He was born with a rare genetic disorder called Griscelli syndrome, type 2. This syndrome causes unusually light-colored skin, silver hair and severe immune system disorders. Patients with this disorder are prone to developing a life-threatening immune condition called hemophagocytic lymphohistiocystosis (HLH) that can damage organs and tissues throughout the body. The only treatment that can prolong life is a bone marrow transplant. Without this treatment, children with this disorder do not survive past early childhood. Thiago had an older sister named Neelieth who was born in 2008 with this same disorder. Unfortunately, she was unable to be fully treated in Venezuela, and passed away when she was 5 years old. When Thiago and Neelieth’s parents, Eileen and Roberto, learned they were expecting another child, doctors told them that Thiago could be born with the same disease as his older sister. That is when Ramoses decided to move to the United States to have access to better medical care. 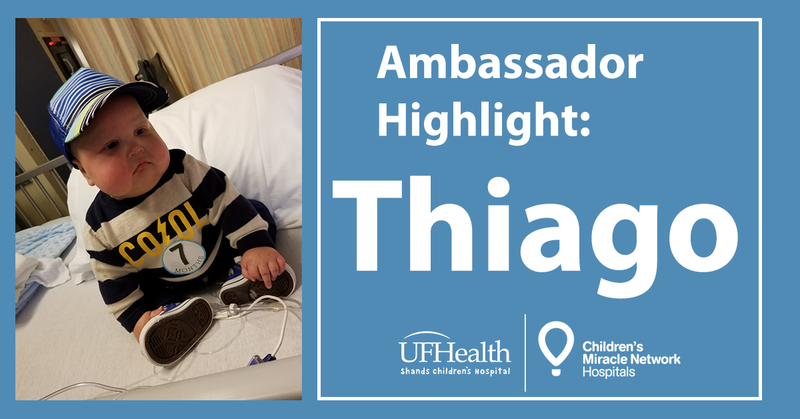 Thiago was originally hospitalized at Sacred Heart Children’s Hospital in Pensacola. 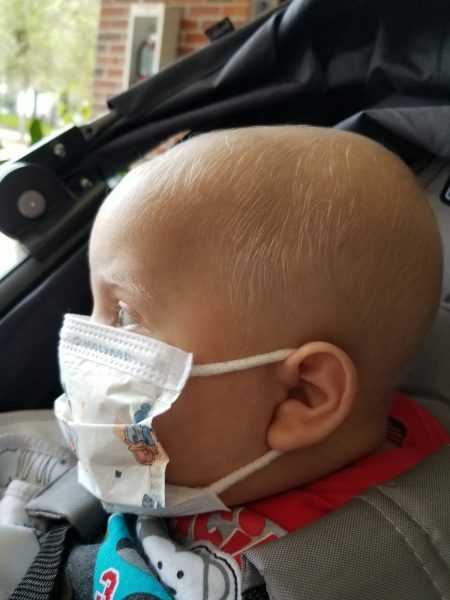 He was transferred by helicopter to UF Health Shands Children’s Hospital earlier this summer, and he started to receive chemotherapy to prepare his body for a bone marrow transplant. He received those life-saving stem cells through bone marrow transplantation on August 8. His parents describe that this day was like he was “being born again before our eyes.” Thiago was discharged from the hospital in September. The moment was unforgettable. His parents recalled that little Thiago’s facial expressions were “indescribable” once he was able to leave the hospital with his family.